Guys want to look fly and ladies stepping out in stunning and gorgeous dresses to lectures and activities on campus at every new session has always be a big concern and even get tougher when you have to choose or select items when shopping for school. One need walk from one store to another trying to get better prices and discounts. But with Jumia.com.gh back to school store, you don't have to worry about discount and stress of moving from one location to another. Get a deal like never before while shopping from the comfort of your home or chilling with your forts on JUMIA BACK TO SCHOOL DEALS. Jumia know that during this season, students would need a lot of items and products for school. 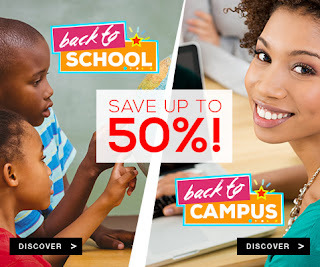 In order to help get all that you need for school while at the same time save some cash, Jumia has decided to set up a special student shop on their website that will help you buy all your items at mouth-watering discount prices. Jumia has got you covered in your preparation back to school; you will find all you need in the Back to School store. From school clothes, shoes, bags, stationary to laptops, mobile phones to games, be the first to know by clicking here to discover great deals on the Back to School store. To push this excitement further, they are organizing contest for you to win some school items for free. Want to know more and stay in the loop? Sign up now.